Safely installing your new boiler. 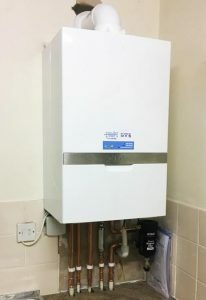 There are some important factors to consider before installing your new boiler. Safely installing your new boiler means choosing an accredited Gas Safe supplier legally entitled to carry out the work. Otherwise, you could be placing you and your family at risk, especially with exposure to deadly carbon monoxide poisoning. 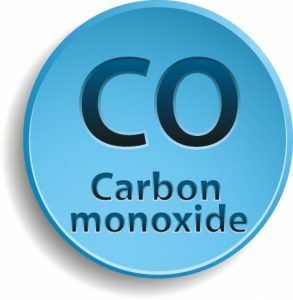 According to data from CO-Gas Safety, 40 deaths every year can be attributed to carbon monoxide poisoning. Sadly, these figures are almost certainly only the tip of the iceberg. There is no automatic testing for CO of people on death, or even those who die from unexplained causes. Moreover, people who have symptoms of CO have great difficulty obtaining a blood or breath test in time to test positive. Illegal gas works is common, occurring on a regular basis and there have been numerous convictions as a result of installers who are not qualified to carry out work legally. Always choose an accredited Gas Safe installer. ATAG are manufacturers of Europe’s most efficient range of award winning boilers. They will only supply to approved Gas Safe registered installers. Energy Saving Trust has added ATAG to their expert product listing for approved energy efficiency products. 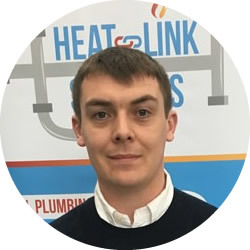 As an approved installer for ATAG, Heatlink Services have been strictly vetted and are now accredited as a company to represent their products. Only a very select few approved companies are able to undertake installs of ATAG boilers in Norfolk. 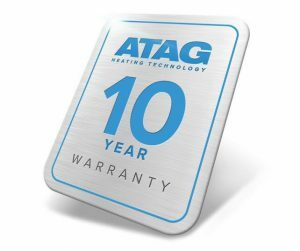 When purchasing an ATAG boiler, customers can be safe in the knowledge that it will be fitted by an accredited Gas Safe installer. Further more, and very importantly, it comes with a 10 year guarantee. Additionally, the ATAG warranty helpline is open 24 hours a day, 365 days of the year. As a chosen ATAG selected partner, Heatlink Services will install your system and ensure it is done in conjunction with their unrivalled level of service and high levels of expertise. All of which comes naturally to a company short-listed for the 2017 EDP Best Small Business of the Year Award. Award winning boilers from ATAG. It is also worth pointing out that all ATAG boiler ranges comply with the new “Boiler Plus” initiative. The initiative, launched by the Department for Business, Energy and Industrial Strategy (BEIS), comes into effect in April 2018. It states a new minimum Energy Rating Performance (ErP) of 92% must be achieved for all new gas boiler installations in existing buildings, together with mandatory time and temperature control for all other boilers. Please click here for more info. The consumer will be the biggest winner in all of this. The new requirements will improve the efficiency of boiler installations, providing huge savings on energy bills. Additionally, helping to protect the environment and reducing carbon emissions. 20% of the UK’s carbon emissions comes from domestic heating. And, nearly a third of all homes in England are heated by older, inefficient boilers. This initiative represents a major, positive step forwards in ensuring homeowners reduce their carbon footprint. It will also provide an opportunity to achieve comfort and efficiency without increased bills. If you’re considering having a new boiler installed, have a look at the full ATAG product range and give Heatlink Services a call. We will be happy make an appointment to carry out a free survey of your home. We will provide clear, honest and easy to understand advice about what we think would best suit your requirements. Just the level of service you would expect from a company selected for the Future 50 Class of 2018! Another Award for Heatlink Services!!! © 2017 Heatlink Services | Website Design powered by Bold Ideas!